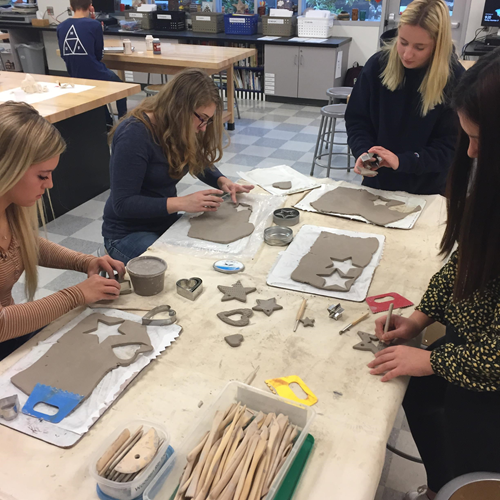 The Holley Art Club is currently making ceramic ornaments that will be offered for sale during the holiday concerts in December. Cost of each ornament will range from 50 cents to $3. Ornaments will also be sold in bundles, such as five mini ornaments for $2 or two large ornaments for $5. Keep an eye out for these sales on Dec. 6 and 11. Thank you for supporting our students.